Every major set from this era is common; this one is just more forgettable than its peers. The Tom Glavine rookie is the "best" it has to offer, followed by a notable drop-off to Matt Williams and Ken Caminiti rookies and second appearances from Rafael Palmeiro and Barry Larkin. The vanilla appearance won't distract you from the abundance of boring headshots and batter's box photos (though the image quality is decent). Topps 1987 and 1989 have flaws, but offer more collectible entries and memorable designs by comparison. Still, this critique splits some very subjective hairs. 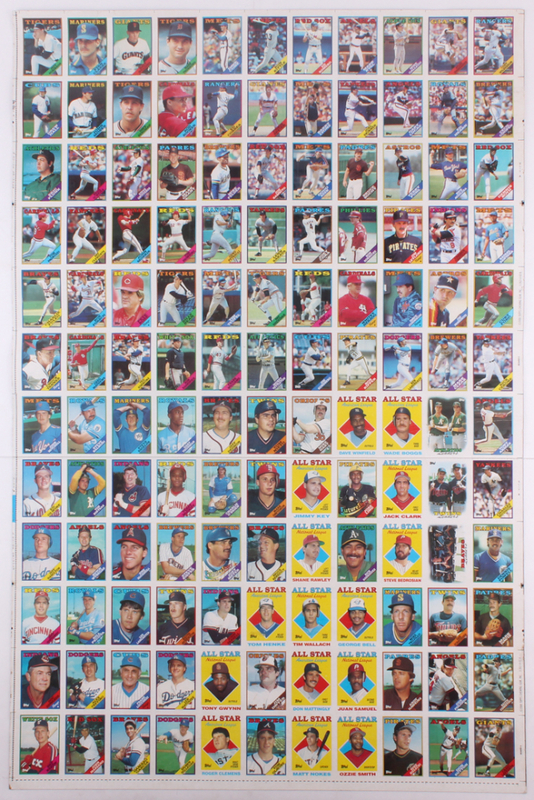 What's important - the saving grace of most sets from that era - is that it contains something like 60 hall-of-famers! If nothing else, it's an accurate microcosm of card-collecting at the time. Use it to teach your small children about old superstars and statistics, or pair it with R.B.I. Baseball 2 (the one with the beefed-up Tengen developers team) or 3 (the one with division champion rosters from '83-'89) on the NES for a nostalgic. I also recommend reading WPG's in-depth, light-hearted analysis of the set.